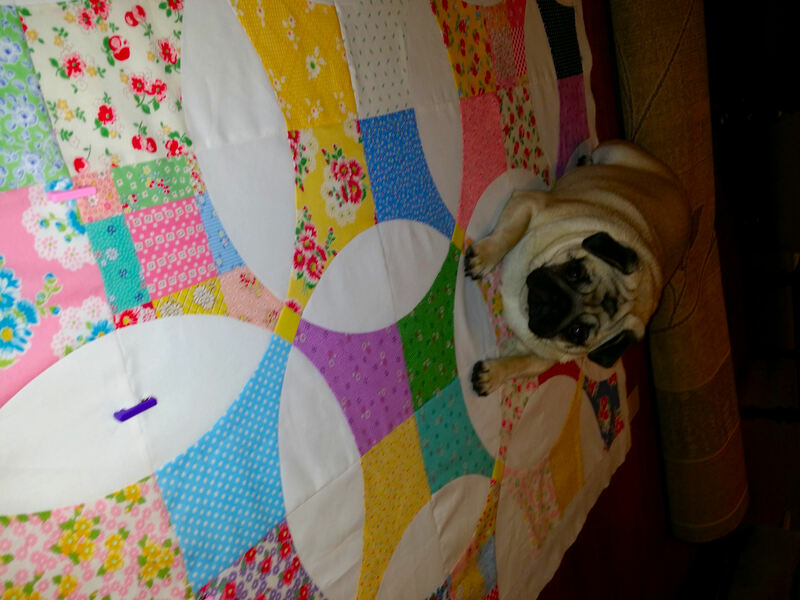 Princess Chloe Belle supervising and making sure it’s going to be comfy! 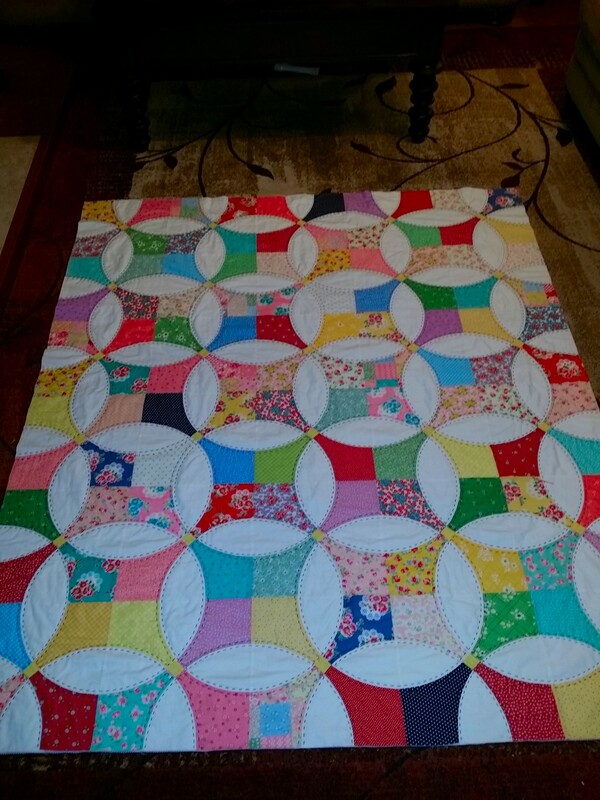 Also in response to a question by Rebecca regarding my favorites, I think that the one I’m working on right now is fast moving up the line and may take the 1st place spot! 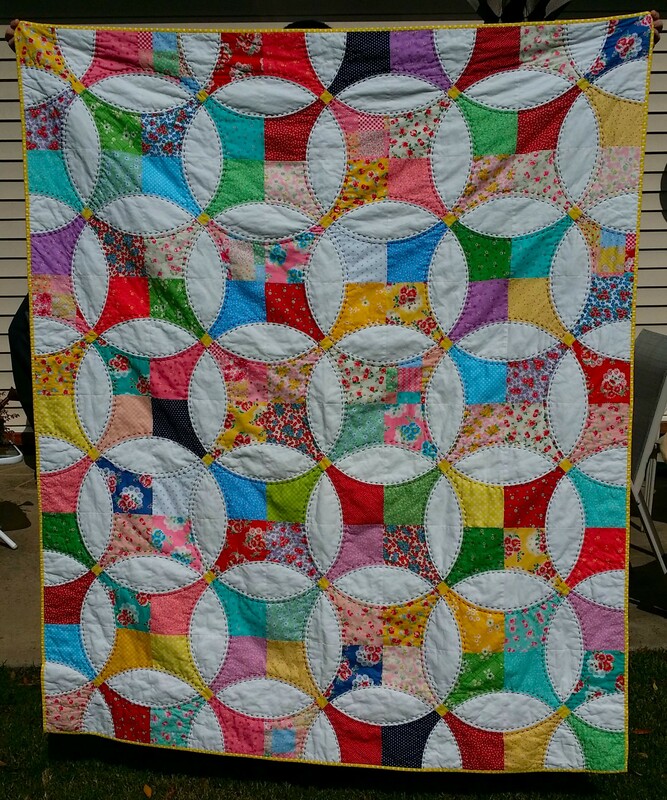 The Flowering Snowball, which was inspired by a quilt I saw on Molly Flanders Makerie blog site. 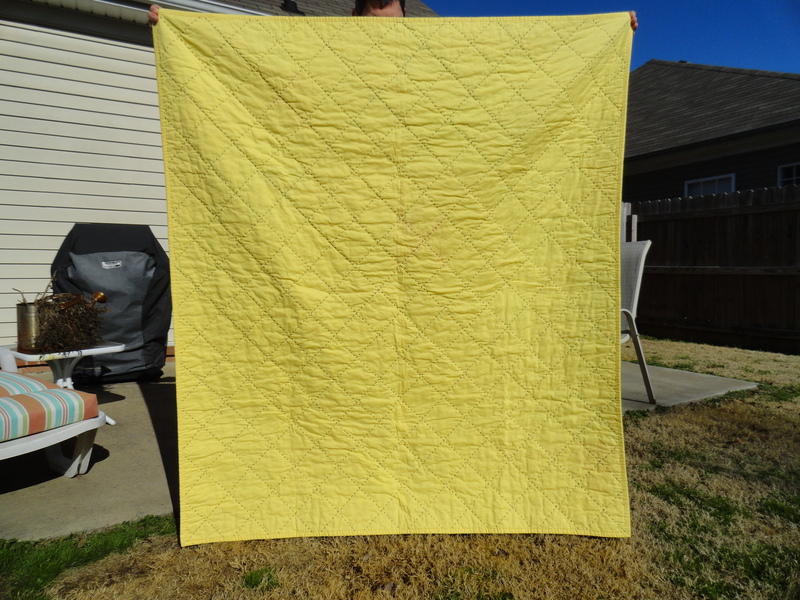 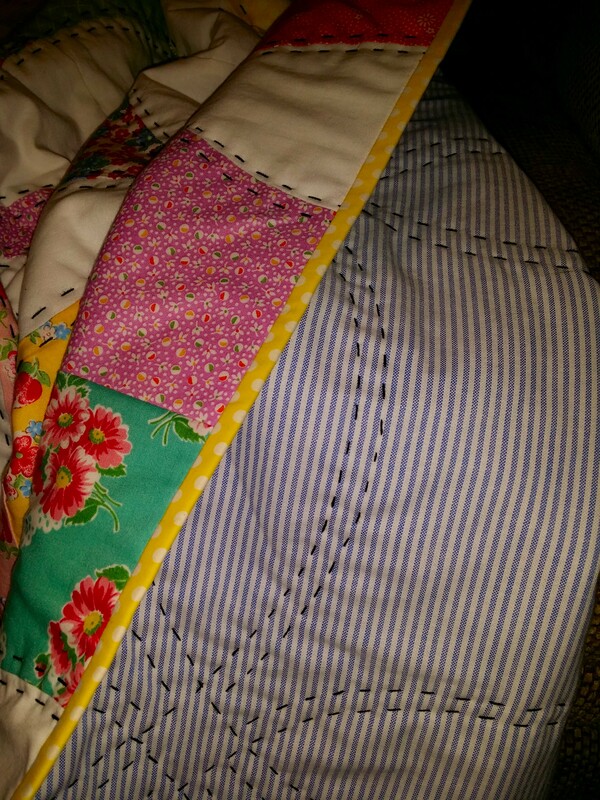 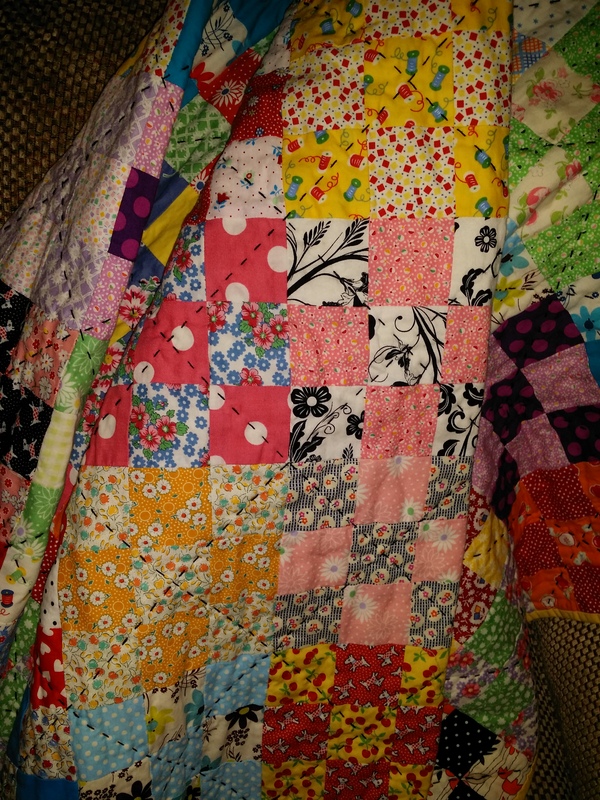 The fabrics and quilting were completely perfect and I HAD to make one the moment I saw it. 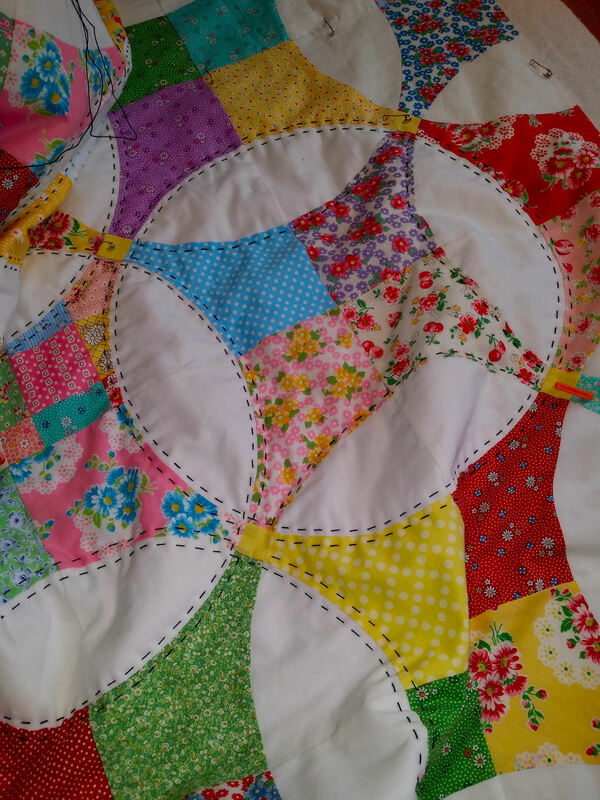 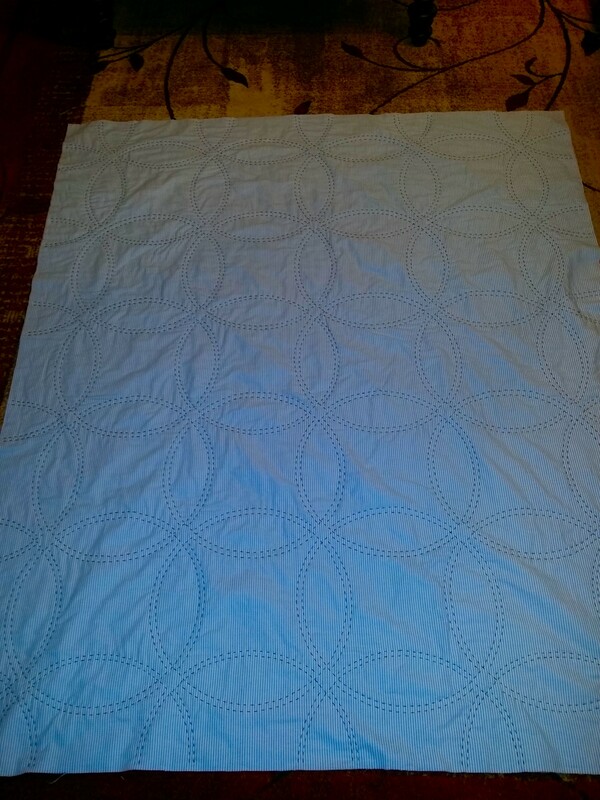 I’ve just started quilting on it today but am hoping it won’t take too long to finish it. 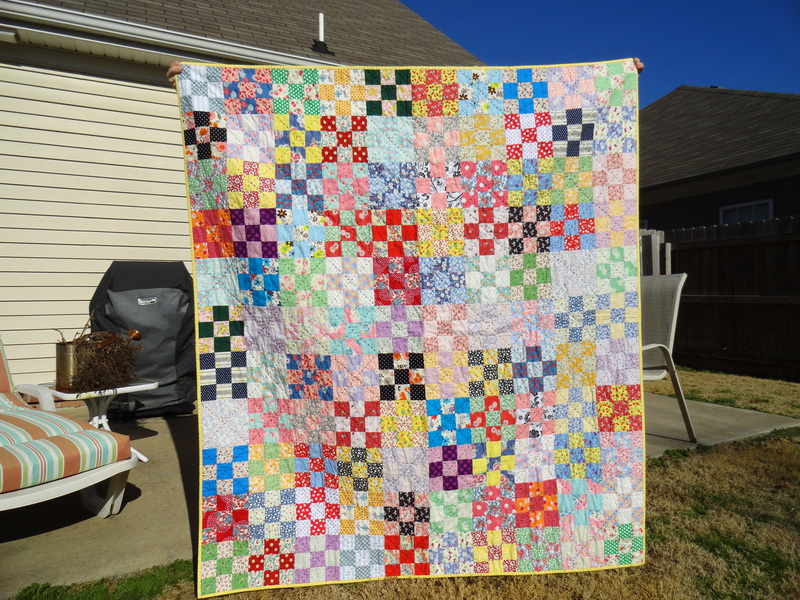 I am already planning to make a couple more in this same pattern.